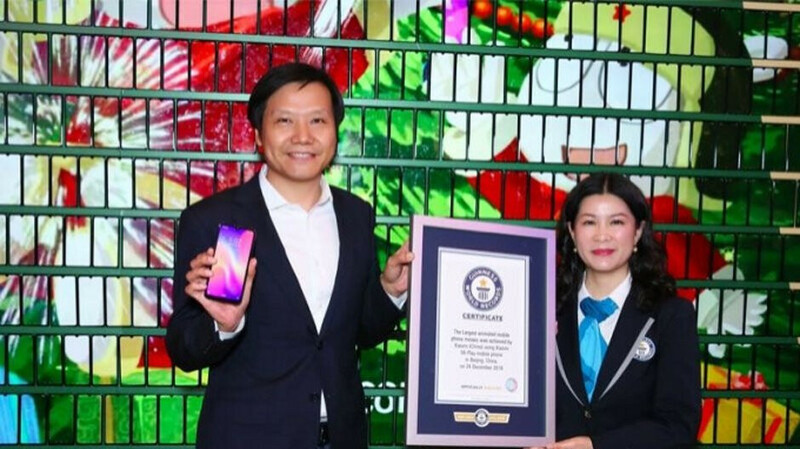 The new Xiaomi Mi Play has just been unveiled and already the device has helped Xiaomi score another mention in the Guinness Book of World Records. 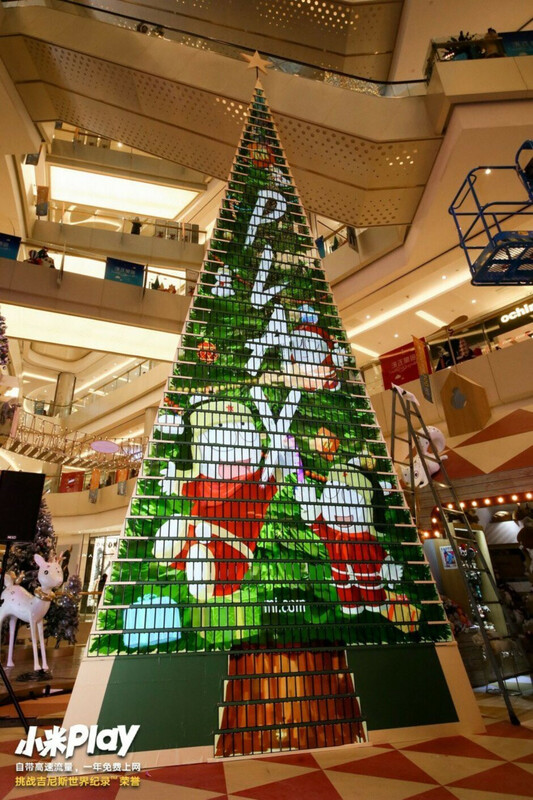 Using the new handset, the company created a dynamic display in the shape of a Christmas Tree that measures 8 meters. It took approximately 1,005 units to make up the record breaking display. The last phone was placed in the display by Xiaomi CEO Lei Jun (see image at the top of this article). The previous record was held by a dynamic display using 504 phones. The display stands inside a shopping mall in China and does more than provide shoppers with something cool and interesting to look at. It also acts as a mobile Wi-Fi hotspot, the largest in the city, to provide high-speed wireless internet connectivity to the consumers in the mall. It took 12 hours for the display to be put together, and the hardest part of the whole process was syncing all of the phones so that the screens were all showing the same image at the same time. This is the third time that the Chinese manufacturer has secured a listing in the Guinness Book of World Records. The first time was for a mosaic made up of lights in the design of Xiaomi's Mi logo. 9,690 bulbs are used in the mosaic, which is found at Xiaomi's new head office in Bengaluru, India. The second record was awarded to Xiaomi when it opened 500 Mi stores in India on October 29th. That's cool, I like it. What a creative project! Xiaomi is a pretty cool company. Can't wait for them to come to the US so I can try their phones. They are a Chinese so I highly doubt they will make it to the US considering the situation there. Wait, are those figures wearing Communist hats? Aren't they the mascots?